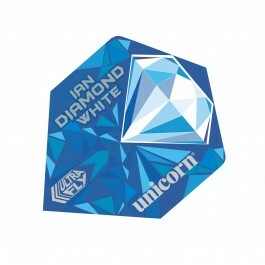 Ian White has written his own darting story and it is some tungsten tale! From a career that was in the doldrums to the top 10 in the world, it has been an eventful journey. White is now enjoying a second chance at the sport that has become his life. The renaissance has seen the man they call 'Diamond' sparkle on the big TV stages, beating all the top players and earning a place at the sport's top table. But that isn't good enough as he chases his darting dream after signing a long-term deal with Unicorn. 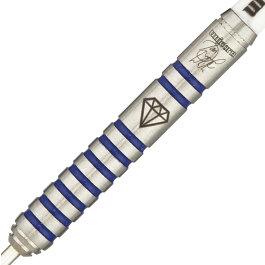 "It is a real thrill to be part of the world's top darts company and I aim to make the most of the opportunity," he said. "It's all about taking my game to the next level and that means winning a TV 'Major', playing in the Premier League and getting back in the top eight in the world. I am ambitious to make the most of the career that has been given to me." And back-to-back World Championship exits in 2015 and 2016 have just made him even more determined to succeed. The defeat to fellow Team Unicorn ace Dimitri van den Bergh at the Ally Pally in 2016 was the jolt White needed. "I need to step it up, that's for sure. There is no doubt that the next couple of years are hugely important for me. 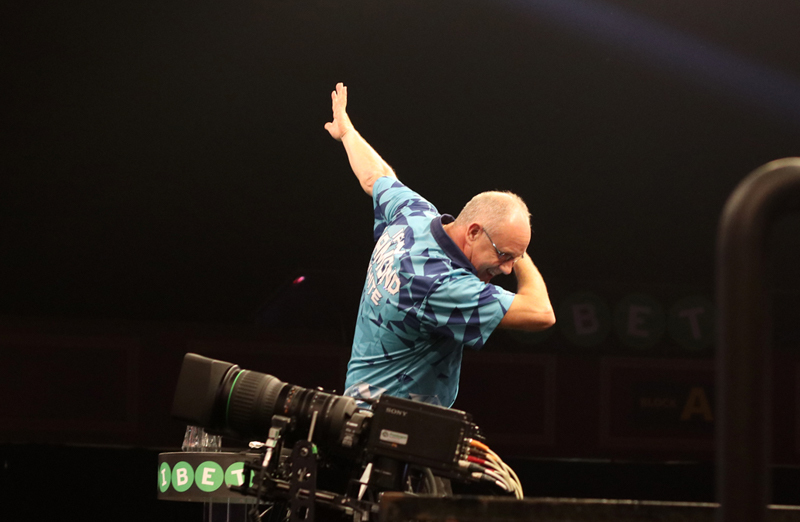 Barry Hearn and the PDC have given us all the opportunity to succeed and make a damn good living out of darts and that's exactly what I intend to do!" But it has been a rapid rise. Now it is all about maximising the talent and winning the trophies! 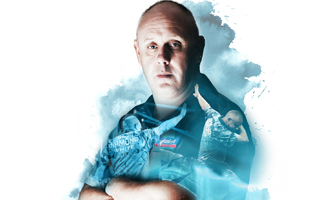 Since joining the PDC, White has won many titles on the Pro Tour and hit four 9 darters! After several near misses, he finally got in the winner's circle in September 2013 to win a Players Championship title as he beat Simon Whitlock 6-3 with a 101 average. A first 'Major' quarter-final followed at the Players Championship Finals and then White enjoyed a terrific run at the World Championship. 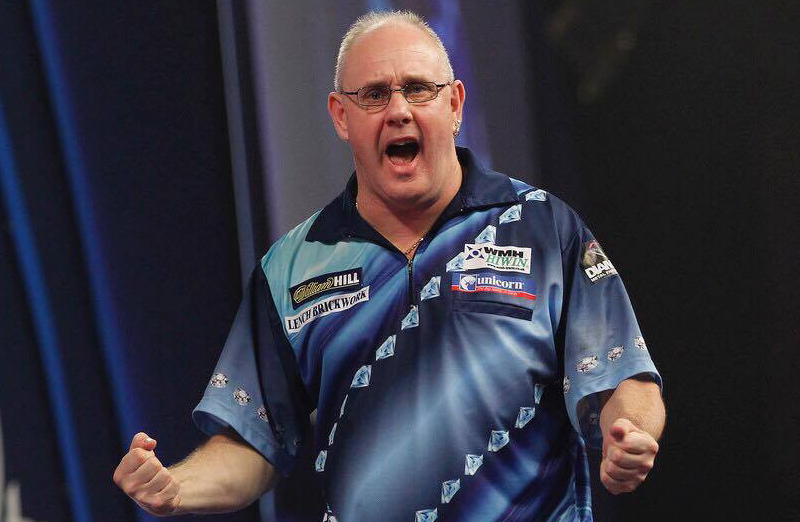 He came so close to the semi-finals at the Alexandra Palace, eventually losing a thrilling quarter-final 5-4 to Whitlock. In 2015, he came close to producing one of the performances of the entire year! 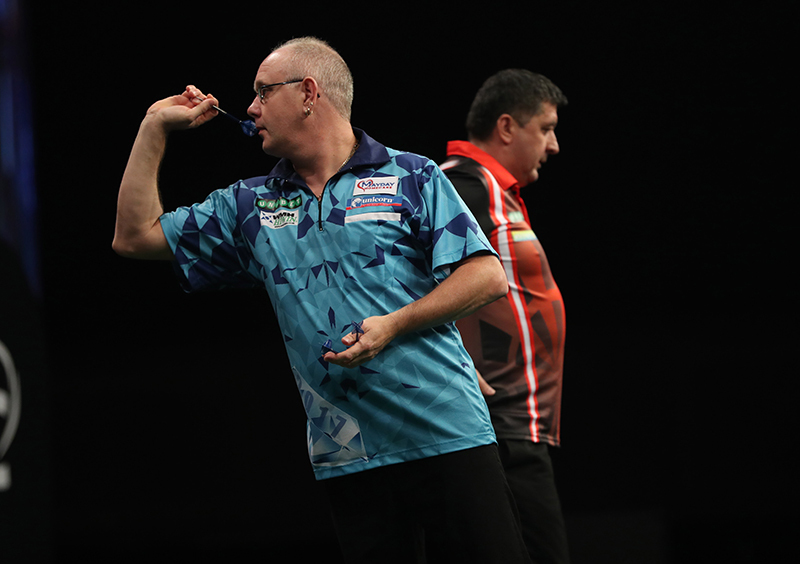 White gave Michael van Gerwen a mighty scare in the World Matchplay Q/Finals. He led the World No.1 6-1 but was edged out in the end by 16 legs to 13. And at Minehead in 2015, White reached his third TV quarter-final of the year at the Players Championship. He was beaten by Mensur Suljovic. "It would be great to enjoy at least another five or six years playing at the very top level. The perfect scenario is to put my name on a big trophy." It was back in 1997 that White first shot to prominence. He had been a good solid county player but enjoyed a fantastic run to the final of the revamped News of the World tournament. He lost to Phil Taylor in the final but it looked like the start of a long career. However it didn't quite work out like that as White packed in darts just a few short months later. "I have to be honest and say that I couldn't handle it all. I'd had enough. I stopped enjoying it and that was it for over a year." But he had been caught by the darts bug and after that enforced absence, White started playing in local leagues, then county darts and within two years he had been picked to play for England. "It was one of the proudest days of my life. I represented my country three times. Even now I look back with a lot of pride." The decision to go full-time was taken for him when White was made redundant from his job at an aluminium company in 2008. He won a couple of BDO events in Denmark and Belgium in 2009 and qualified for the 2010 Lakeside Championship where he lost to Stephen Bunting in the 1st Round. But White had the taste and it was time for the PDC! It could all have been so different though without a little help from a friend....a certain Adrian Lewis! White takes up the story: "I owe Adrian a great debt. We practiced quite a bit then, as we do now, and he encouraged me to have a go in the PDC. At that stage though, I just couldn't afford to do it, so Adrian stepped in and sponsored me. He paid for everything - entry fees, flights, hotels - and I can never thank him enough." "It is fair to say that without Adrian Lewis, I wouldn't be playing darts now." White added. 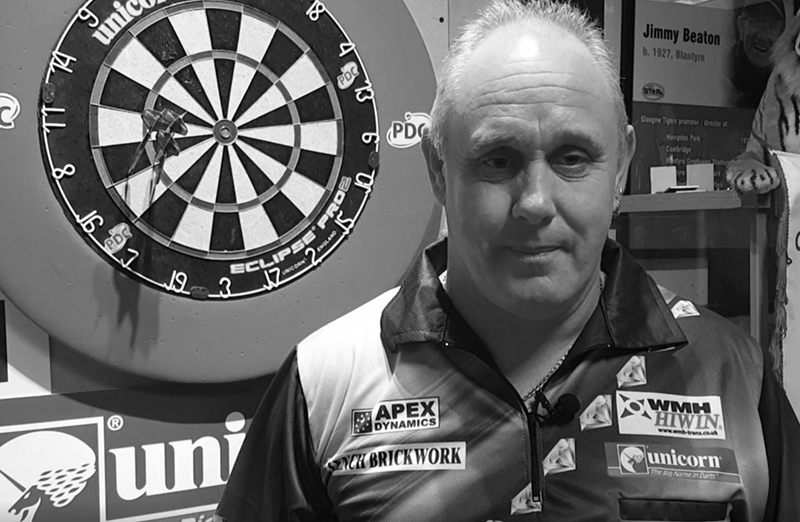 The sport of darts has changed Ian White's life. He lives in Stoke with partner Maria, stepdaughter Tanya and grandson Leo. "I have worked very hard to get to this level. 10 years ago I had a lot of debt after my marriage broke up. Now I have money in the bank and I am privileged to do this job. Now Unicorn has joined White on his journey. It has been a real rags to riches story but it isn't over yet! Far from it as White looks to the future and success. White claims biggest win of his career!